Today, millions of people are finding emotional restoration through a variety of prayer based therapeutic healing models facilitated by counselors, pastors, and lay-leaders. One such method developed by Christian psychiatrist, Karl Lehman, claims to permanently rewire traumatic memories by building an interactive connection with the living Presence of Jesus inside both positive and painful memories. 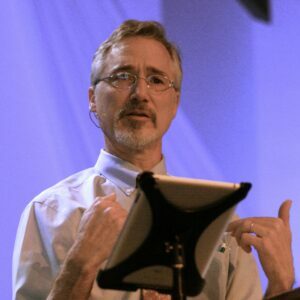 After 10,000 hours of practice, Karl is finding a nearly 100% success rate in connecting people to an experience of the healing presence of Jesus in ways that facilitate permanent resolution for traumatic memories. Several unique features of the Immanuel Approach have made it simple and safe to use in groups, and translatable across cultures. In addition, Karl has begun developing what he calls “The Immanuel Lifestyle” which cultivates the experience of God’s felt Presence in daily life. I went through the Immanuel Approach myself in 2016 and saw a dramatic personal transformation almost overnight. This continues to impact me every day as I find the emotional and spiritual resources I had been seeking for years. I’ve facilitated the Immanuel Approach around the world and have found it to be effective in every culture. I share Karl’s passion for everyone to experience the tangible loving presence of Jesus in their daily lives. I deeply appreciate Karl’s deep understanding of both the theology and neuroscience that makes the Immanuel Approach work. I’ve also grown to appreciate him as follower of Christ on his own tender journey with Immanuel.